The State Equestrian Centre features a main and indoor arena with multiple purpose-built sand and grass surfaces suitable for competition, warm up and training activities. There is also a huge general purpose field and showjumping and dressage arenas, a cross-country course capable of hosting novices through to the elite horses and riders, as well as being home to the Riding for the Disabled grounds. The outdoor arenas encompasses several dressage arena, PA System, a canteen, general and accessible amenities. The indoor arena has covered seating for 1,400 spectators as well as a conference centre, PA system, cafe, general and accessible amenities. The fully maintained Cross-country course is ideal for introductory class horses through to two-star competitors as well as a training facility. This has opened new opportunities for venue use and allows riders to train safely on industry standard jumps and surfaces. The venue provides 147 Stables, permanent caravan sites, combined caravan/truck site, general and accessible amenities as well as a kitchen, dining and recreation facilities. The State Equestrian Centre is a world-class venue featuring state-of-the-art design in a rural environment. It is set on 164 acres of magnificent parkland in Western Australia, just 30km from Perth’s central business district. 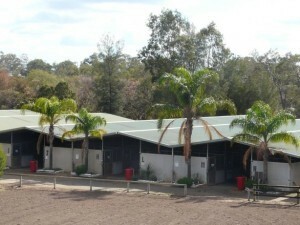 The State Equestrian Centre is located in the heart of the Swan Valley. The Swan Valley is Western Australia’s oldest wine growing region and home to Equestrian Western Australia. The site boasts trails, indoor arena, a number of outdoor arenas, conference and dining rooms, a superb cross-country course, fully enclosed stables and camping facilities. The State Equestrian Centre was completed in 1989 and has been host to a wide range of events including World Cup showjumping, international coaching and training venue and a range of mixed equestrian events. The site has evolved to become a superb venue for many sporting, corporate and community pursuits including weddings, children’s events and product launches. 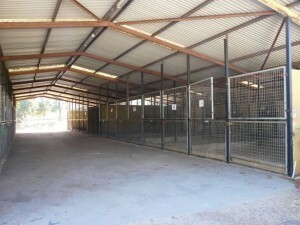 The WA Government designed the Equestrian Centre for greater public use and is managed by Equestrian Western Australia as a multi-purpose venue. The State Equestrian Centre is one of Australia’s premier locations for equestrian activities including show jumping, dressage, eventing children’s horse riding camps, spring horse shows, rodeos, exhibitions, trade shows and small farm field days. The site’s facilities also complement a broader array of sporting events such as cycling, school cross-country carnivals, dog trials, as well as corporate events, milestone birthdays, weddings and other social occasions.